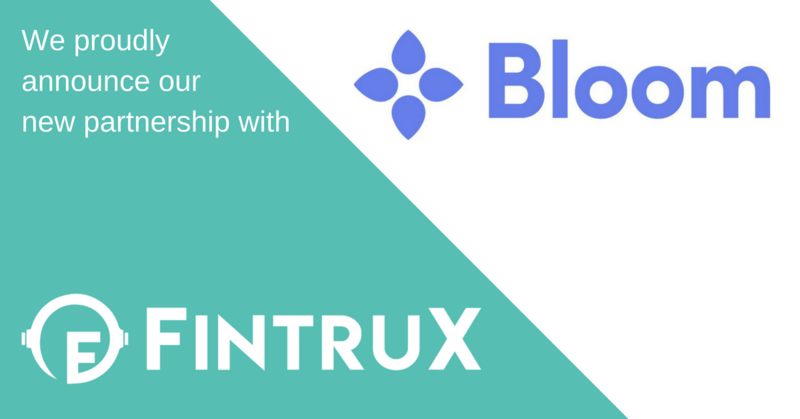 The FintruX Team is delighted to announce that we have officially partnered with Bloom! Bloom is a promising blockchain project that is rapidly becoming the market leader for providing global identity verification and credit scoring solutions. We’re very proud to have them onboard as one of our service agency partners and we look forward to everything that we will be accomplishing together. Why is Bloom such a Big Deal? The concept of lending on blockchain opens up some unique areas of risk that need to managed efficiently and effectively in an ecosystem like FintruX. For one, global lending goes beyond international economic borders, which makes the task of verifying identity or creditworthiness especially challenging. Borrowers could potentially avoid repayment of a loan, simply because the lender might not have all the necessary details of the borrower to enforce the debt in the borrower’s jurisdiction. That’s where Bloom comes in — they solve this problem with solutions like BloomID, BloomIQ and BloomScore. By leveraging these features on their platform, FintruX will bring greater reliability and and improved borrower credit scoring to our ecosystem. Bloom greatly complements our reward vs penalty model; FintruX contributes to the Bloom platform by updating a borrower’s BloomID with their payback rate. If a borrower defaults or misses payments, their rating will be negatively affected . On the other hand, if they successfully carry out their repayment schedule, they are rewarded with a positive rating. We are aiming to implement the Bloom user experience on the FintruX Network as soon as we launch our platform in Q3 2018. For the FintruX Team, our partnership with Bloom reflects our commitment to become the prevailing blockchain ecosystem for global p2p lending. We’re also excited to let you know that we are actively pursuing multiple strategic partnerships that will add further value to our platform. We can’t wait to show you what else we have been working on!